1 Rumors and leaks are all over the place right now for the king of the “phablets”, the Samsung Galaxy Note 6. It would take a lot of fire power and upgrades to replace the formidable Note 5 on its flagship status. Now is the time to know the reasons why you should have the new Samsung Galaxy Note 6 when it hits the stores. Rumors and leaks are all over the place right now for the king of the “phablets”, the Samsung Galaxy Note 6. It would take a lot of fire power and upgrades to replace the formidable Note 5 on its flagship status. Now is the time to know the reasons why you should have the new Samsung Galaxy Note 6 when it hits the stores. 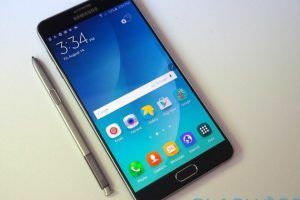 The new Samsung Galaxy Note 6 is to be released soon, how good will it be? Yes, rumors has it that maybe the Samsung Galaxy Note 6 would be released as early as July than August, the usual Note release date. Micro USB has been a staple connector interface for the past Notes but the Samsung Galaxy Note 6 is said to be featured with a USB Type-C for wired charging and other device interactions. Six (6) gigabytes of RAM or random access memory. In layman’s terms, this improves overall responsiveness and performance of the Samsung Galaxy Note 6. A usual tablet only have 4, so think about how good this is. Samsung implemented a QHD or quad high definition display to the Samsung Galaxy Note 6. The resolution would be 2560×1440 on a 5.8 display. It just keeps getting better. To better understand how awesome the rumored features and capabilities of the Note 6, why not read the full spec sheets for the soon to be older model of the Note family – the Samsung Galaxy Note 5. Dual pixel technology still is amazing in its full implementation on the latest S7 and S7 Edge, but it is rumored that the new Samsung Galaxy Note 6 would have the same feature with “super optical image stabilization plus”. Smooth video capture and fast autofocus. Bigger means better so under its Quad HD display and faster processor is a rumored monstrous 3500 mAh to 4000 mAh non-removable battery. Samsung Galaxy Note 6 is leaked to be ditching the 16Gb and 32Gb storage options. New choices that remains are the 64Gb and 128Gb variants. This software is said to be like the Blackberry Hub which consolidates your social, email, and text notifications in one location. Samsung wants it to be business centered and a seamless integration of all feeds for convenience. Micro SD expansion won’t go anywhere, Samsung Galaxy Note 6 still supports this feature. Probably up to 256Gb! Leaks are leading between Snapdragon 820 or 823, the same with the Galaxy S7, but Samsung Galaxy Note 6 will have an overclocked version. Another possibility is it will have Samsung’s own chipset. We’ll see.